At Little River Watershed, we value keeping our water systems healthy and as clean as possible. That is why it is important to us to practice diligence with trash removal and stream quality monitoring of the Little River. In addition, we do our best to keep an eye out for any invasive species that might be overtaking the area and causing any harm to the native inhabitants of the river and its banks. We aim to do this by having annual cleanups, water quality assessments and invasive removal days. So why is this important? Protecting our water protects everything that inhabits this system, but also it effects you and me. There is a common denominator and it is that we all need water to survive, and without clean water, we wouldn't be healthy or happy individuals. Little River Watershed Association teamed up with DOW Chemical on May 19th to take part in Keep America Beautiful's, Great American Cleanup. 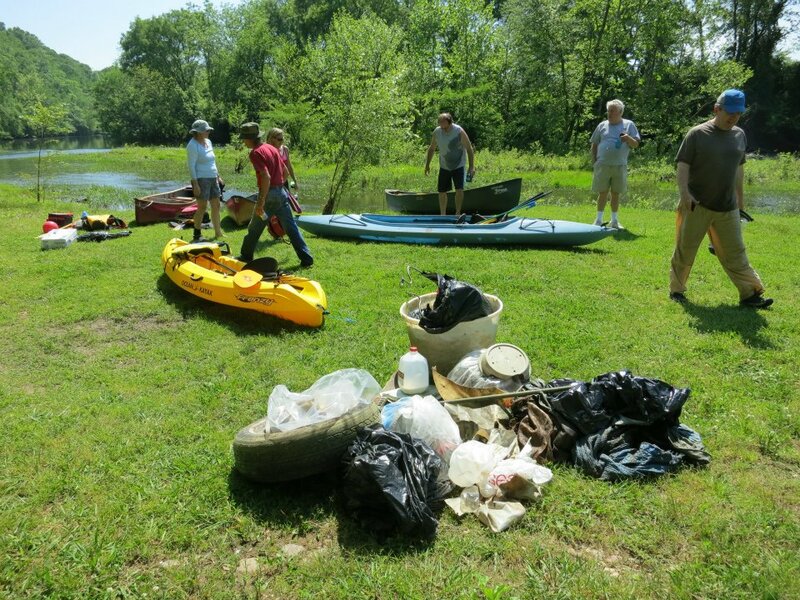 With the help of volunteers from DOW, the community and some Little River board members, we helped clean up 39 bags of trash from Brown's Creek, a tributary of the Little River and Bicentennial Park. 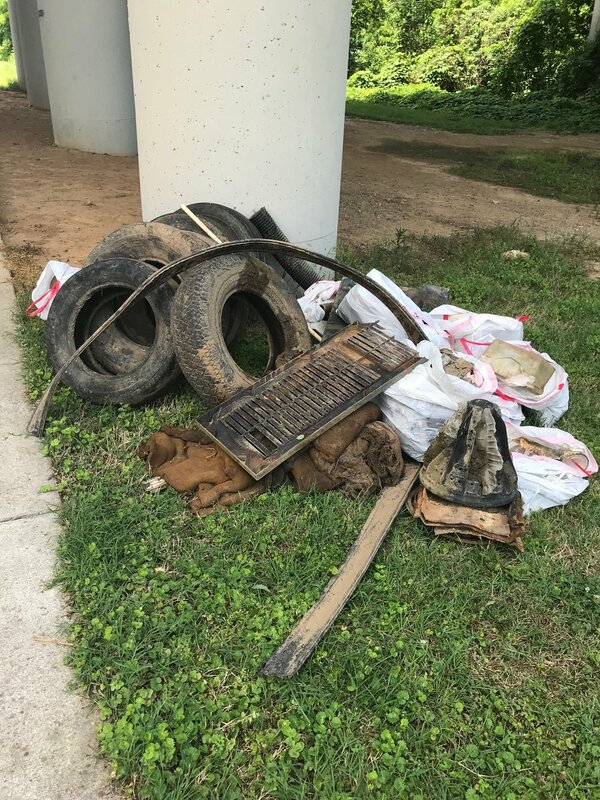 Some of the items we removed from the creek included over 5 tires, a dresser, and a scooter! We are thankful for community partners and the ability to help give back to keep our waters clean! If there are any areas that you want to help clean up, let us know at littleriverwatershed@gmail.com to organize a cleanup!